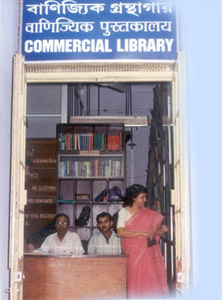 The Commercial Library is a unique information vending departmental library of this Directorate,to which access has been granted to the members of public free of charge with a view to catering to the commercial interests of the mercantile and trading community, desirous of having detailed information on international trade and related matters. 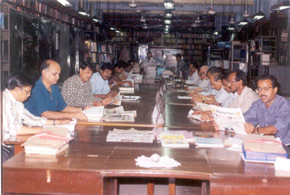 The Commercial Library is the repository of books, periodicals, magazines, mimeographs, reports etc. of the Government of India and other countries and organizations all over the world. The reading room services introduced in 1916 are still continuing. The Commercial Library caters to the visiting students, academicians, prospectors, businessmen, traders and officials from other departments. The Library has the following categories of publications for public use. In addition, it acquires foreign and Indian Journals and Bulletins either subscribed or received free of cost from the publishers. The Library has a stock of up-to-date Gazette Notifications of Govt. of India, accessible by the public for their use, as well. Publication of the UN, IMF, ESCAP as well as of various foreign Books and Govt. Department/Organisations are received regularly. The Library is open to all members of public on all working days. Persons below 18 years of age are not permitted. The Librarian/Officer In-charge is empowered to exercise his/her official discretion in providing access to documents and records of the Library to the users, in accordance with the extant Rules in vogue. The Commercial Library provides free reading room facilities. The readers are however, required to collect a Readership Card. The Library Membership and Reading Room Rules were introduced way back in 1916 and has been amended from time to time. A copy of the Rules is placed below.